Today really was another special day as we were able to minister at another children’s home in Hűvösvölgyi út. 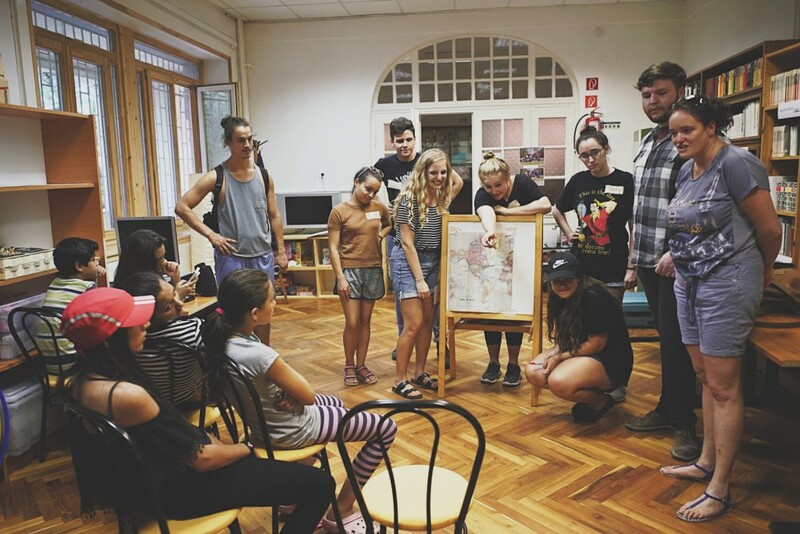 What began as some simple coloring activities turned into some deep conversations with young people sharing their stories through translators with our team. It was sad to hear some of the tragic circumstances they are stuck in, but hopefully we were able to share God’s words and not our own. It was a fulfilling time. We know we are only here for a short while but we hope and trust that those we are serving alongside will be able to continue the work knowing it’s the same Spirit who lives in us! The team has been doing well working hard to serve those at the edyütt conference that has 300+ people from Golgota Budapest attending. It’s a blessing to be able to serve those who are taking a holiday to come and be refreshed and seek the Lord. Nic was able to lead worship for the midweek service alongside the team there at Vajta. They have also had some time to meet with each other and pray for the team serving in Budapest! Tomorrow both teams will join together to end the trip over the weekend. Keep us in prayer!